MOBILE, Ala. (WKRG) A man from Mobile was arrested late Tuesday night on charges of eluding police and endangering a child. 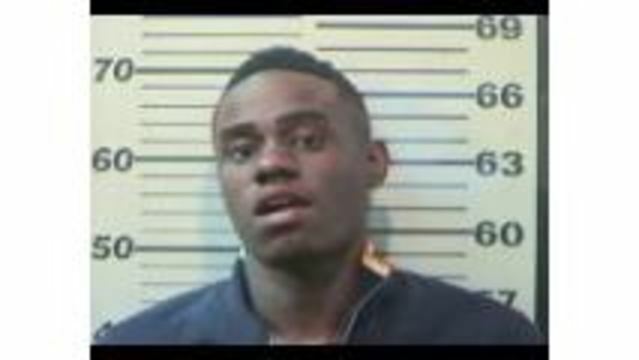 Adrian Davis, 20, was booked into Mobile Metro Jail at 10:40 p.m.
News 5 has contacted the Mobile Police Department to confirm whether Davis' arrest is connected to a police chase that ended in a crash on Schillinger Road in West Mobile hours earlier. Tuesday evening, Mobile police attempted to stop a black Honda for not having a tag on display. The driver of the Honda refused to stop and a chase began, according to police. A 4-year-old child was in the car without a car seat during the chase. The child and a woman, who was also in the car, were taken to the hospital with minor injuries, according to authorities. The man driving the car was also taken to the hospital to be checked out for injuries. Davis is charged with eluding police, endangering a child, reckless endangerment and posession of marijuana.